Paper garland perfect for baby showers and children's birthday parties. Made from the pages of a Mother Goose Nursery Rhyme book. Finished garland is 10 feet long. Dear US buyers - I ship from Canada - please allow 2 weeks (minimum) to arrive. Thank you! 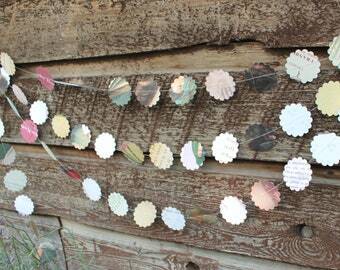 This pretty garland is made of scalloped dots hand punched from the pages of a vintage book. 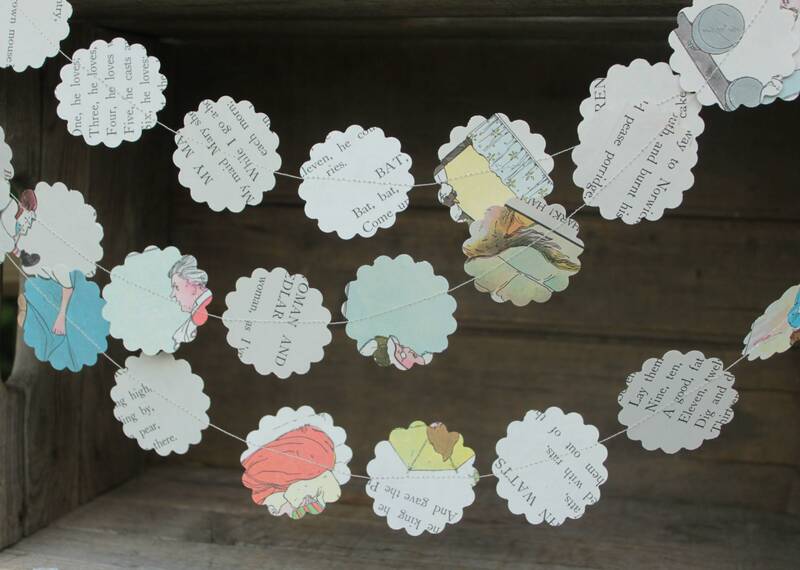 This garland would be a nice addition to a book themed baby shower, vintage tea party, storybook themed baby shower or baby's birthday party. Each scalloped dot is 2" across. The dots have been run through my sewing machine and there is enough thread at the end of each garland to tie together or hang up. 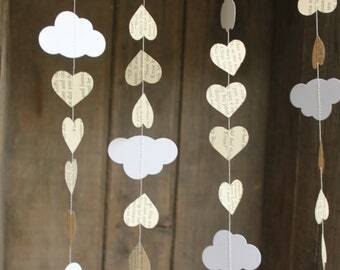 This garland is 10 feet long and you can order as many as you like! 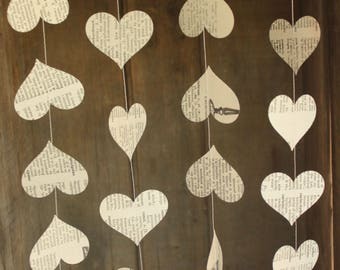 Remember, these garlands are made of paper and are kind of delicate. Please unwrap them carefully. They will live a lot longer if kept indoors out of the sun. The garlands are made in batches when you order so may not be exactly as shown. Please note that I ship from Canada and am unable to provide tracking information on the small parcels. If you require tracking, please let me know and I can upgrade your shipping. Thank you!